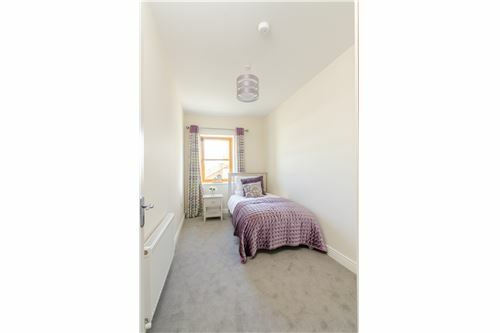 Bryan little of RE/MAX Partners New Homes are delighted to present a range of 1-bedroom apartments in this lovely vibrant development of Summerseat. Attention to detail in all aspects of the build process reflect in the final product with space, light and storage maximised, yet with prices starting at €250k these properties represent excellent value for money considering the build quality & finish. FLOOR AREA: 71.62 Sq. Mtrs. Bryan little of RE/MAX Partners New Homes are delighted to present a range of 1-bedroom apartments in this lovely vibrant development of Summerseat. All apartments have a large lounge/dining room and separate well fitted contemporary kitchen. The main bathroom comes complete with high end quality sanitary ware. Bedrooms are a good size with master ensuite as well as lovely fitted wardrobes Attention to detail in all aspects of the build process reflect in the final product with space, light and storage maximised, yet with prices starting at €250k these properties represent excellent value for money considering the build quality & finish. FEATURES: Natural Gas Fire Central Heating with thermostatic control Lifts for Apartments Highest standard of floor, external wall and roof insulation Double glazed Nordic Pine Master Joinery windows UPVC fascia and soffit All properties fully painted throughout Summerseat is covered by the 10 year Homebond Contemporary kitchen and fitted extractor fan Fitted wardrobes High quality sanitary ware in bathrooms & ensuite Master bedrooms with ensuite All units are wired for alarm and broadband Communal parking Extensive landscaping and greenery throughout the development BER: B2 FLOOR AREA: 71.62 Sq. Mtrs.